When: from June 1st, 2019 (arrival in Soria) to June 29, 2019 (departure from Soria); 4 weeks. Elementary Spanish ( Spanish, 100- level) 4 hours a day from Monday to Friday. 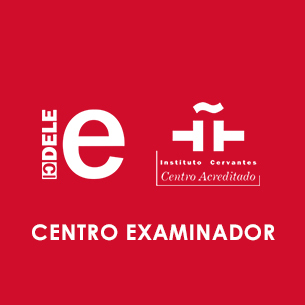 Intermediate Spanish (Spanish, 200-level) 3 hours a day from Monday to Friday. Spanish Culture and Civilization (Spanish, 200 and 300- level), 1 hour a day from Monday to Friday. Accommodation: Full board accommodation with a Spanish family (3 meals a day), individual room. May 20th, 2019: Application closes and Balance Due Deadline. Late application may be possible – contact CIAM. Soria is a small and quiet city in the region of Castile, in the heart of Spain. It is surrounded by picturesque towns and landscape; the sight of which you won’t soon forget. Here, you will learn and study during the summer months while enjoying the city, scenery, and friendships you make along the way. In addition, you can practice your favorite sports, from hiking to horseback riding, and live in the clean, uncontaminated Spanish countryside. Rigor, seriousness and enjoyment: a necessary combination when it comes to learning and understanding the Spanish Language and Cultures. Spain is a country of large geographic and cultural diversity. Its many cultural regions and historic cities are the perfect background for you to improve Spanish while you have direct interaction with native speakers. Participants can receive credits from their university. CIAM will help students along the whole validation process. The city of Soria is located northeast of Madrid, in the upper right corner of Spain, in the Meseta, a flat and elevated platform that occupies a large part of the country’s surface. The city is 1063 meters high and its climate is Mediterranean-continental with mild and colourful autumns, fresh –but full of flowers and smells– springs, and hot, dry summers with large differences in temperature between day and night. In the summer season the temperature usually reaches 30ºC, and sometimes even more than 35ºC, although that is not usual. However, in winter it is common for temperatures to drop below 0ºC, producing occasional snow storms and frosts on cloudless nights. CIAM advises its students to bring a warm jacket and long pants also in the summer. Soria is a small city of 38,000 inhabitants. It is a very safe city: in fact, it is the safest city in Spain. You can walk everywhere. As opposed to other cities that are invaded by mass tourism, which makes it difficult to have a genuine experience with the Spanish language, in Soria it is easy to become part of the everyday life of the community, enjoy the beautiful landscapes that surround it and practice some of the many sporting activities that it offers. The province of Soria has 10,306 km2 of breathtaking beauty. It has a very irregular geography with a heterogeneous landscape that ranges from high mountains to deep valleys and large areas of green wheat fields in spring, which turn yellow in the summer. There are also many forests, protected natural places where you can observe different varieties of animal and plant species. With a rich historical and artistic heritage, Soria and its area are known for their Romanesque monuments, such as the Church of Santo Domingo, the Monastery of San Juan de Duero or the cloister of the Concathedral of San Pedro. Of course, the Hermitage of San Baudelio cannot be left aside. It is known as the Sistine Chapel of Castilla and is located in Berlanga de Duero, the town where Fray Luis de Berlanga –the discoverer of the Galápagos Islands and introducer of tomato, potato and cocoa in the West– was born. Not far away, the historic Castle of Gormaz, the largest fortress in Europe, offers some of the most outstanding views of the region over the Douro River. Very close to the city of Soria, a good tourist cannot miss the ruins of Numancia, an ancient Celtiberian settlement which resisted the Roman invasion for many years. 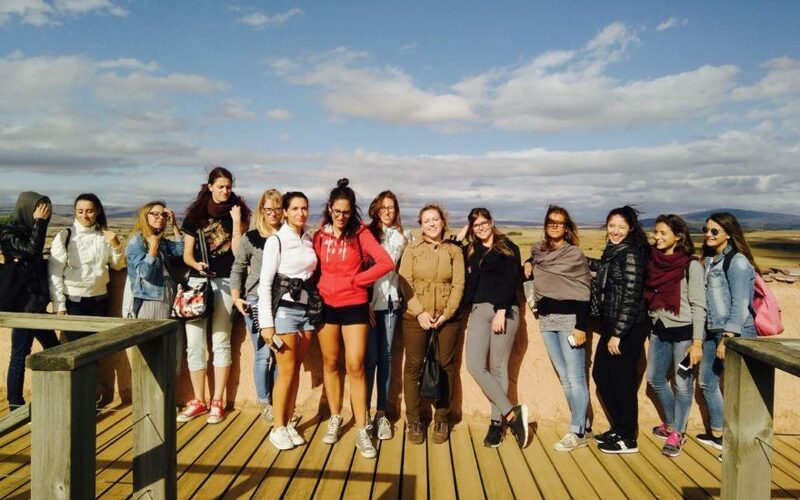 Some of our students carry out activities of the Spanish in the Community and Volunteering programs in this archaeological site. Accommodation with a Spanish family is probably the best option for a student who seeks to integrate in the culture of our country and achieve a complete linguistic immersion. The director of CIAM together with our staff personally selects the host families after a thorough visit to their home and an extensive interview.The students are assigned to a family after we carefully read the form that all of our students have to fill out with their personal data before arriving in Soria. Families in Soria welcome our students because they are interested in having a cultural experience and not for economic reasons. This means that students will be treated as members of the family. In order to reach a true linguistic immersion, only one student per family is suggested. An afternoon walk in nature along the Duero River or in a protected natural area, bird watching and/or drawing and painting session. A fun competition, the Gymkhana of the Spanish Language, in the Dehesa Park (the most important park of the city). Gastronomy workshop: we prepare a paella with a cook. We prepare a brunch or an afternoon snack at the CIAM with local and regional food after having interviewed people in the city, or in a supermarket and bought the recommended food and goods (the purchase of the local food is carried out by the participants). Farewell party for all students: con “tortilla de patata” competition. 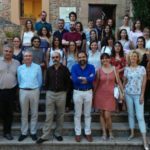 Visit to Vinuesa and the Laguna Negra OR visit to Castillo de Gormaz, Burgo de Osma and Catalañazor with a CIAM professor: half-a-day study trip. All excursions include bus transportation and a guided tour. Meals and monuments tickets are not included. Optional participation in linguistic exchanges with people from the city. 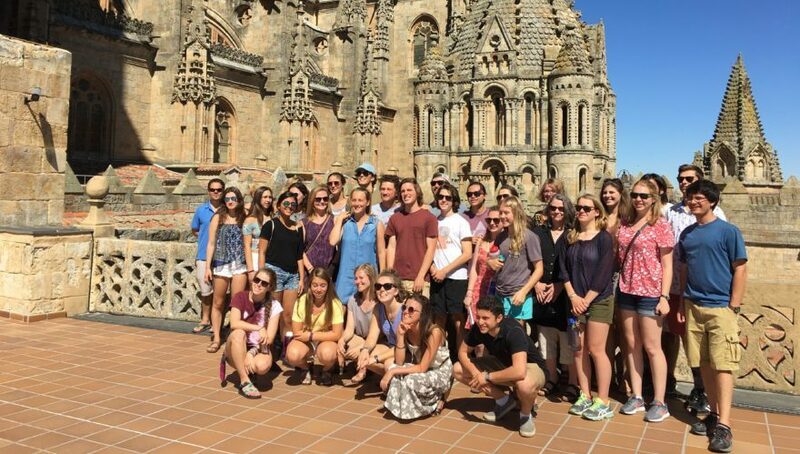 Register and enroll online in the Study Abroad Program in Soria (Spain) before April 15th, 2019. Write an e-mail to: info@ciantoniomachado.com, with a passport photocopy. Please, submit and complete the Personal application form and submit it with a color passport size photo. Later you will receive an e-mail in order to realize a secured online payment (620 €-confirmation deposit). Please, before April 15th, 2019. Later you will receive another e-mail in order to realize the second secured online payment (2,480.00 €) Please, before May 20th, 2019.